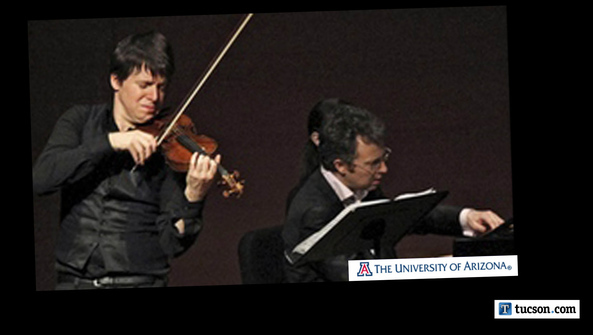 After years of guesting with the Tucson Symphony Orchestra and other ensembles that made it our way, Joshua Bell in 2011 played his first ever Tucson solo concert. Eight years and yet another TSO appearance - back in 2013 - later, Bell is bringing his latest solo recital to Centennial Hall with UA Presents on Friday, Feb. 15. Bell doesn't do a whole lot of recitals. In fact, we are the finale of a 10-city solo trek with his longtime accompanist, English pianist Sam Haywood, before he heads to Europe and then back to the U.S. for orchestra dates through the spring. "It's a different experience than playing a concerto with an orchestra, where I fly in, rehearse my one big piece with the orchestra" and perform, Bell, 51, said during a teleconference with West Coast journalists in mid-December. "Playing a big concerto is thrilling, too. You've got a lot of people on stage. It's louder. ... But with a solo recital ... it's two hours of more intensity from beginning to end. But what I like is I get to offer sort of a tasting menu from classical music. Something from different periods. I get to show different aspects of classical music, different ways the violin can express itself. It's more intimate. I can talk to the audience between pieces." Bell will be in concert with pianist Sam Haywood on Friday, Feb. 15 at Centennial Hall on the University of Arizona campus. A new Sony Classical release from Grammy Award-winning violinist Joshua Bell showcases two masterpieces from romantic composer Max Bruch. Available June 22, the album features Bell's first recording of the virtuosic Scottish Fantasy as well as a new recording of the Violin Concerto No. 1 in G minor, which he first recorded over thirty years ago with the Academy of St Martin in the Fields and Sir Neville Marriner. Now, as Music Director of the Academy, Bell both performs and directs the orchestra, and offers a fresh take on the Bruch Concerto in addition to a thrilling performance of the Scottish Fantasy. Sony Classical announces the release of Joshua Bell – The Classical Collection, a 14-CD set of albums of classical repertoire that the internationally acclaimed, Grammy® Award winning violinist has recorded for the label over the past twenty years. The collection is available worldwide on August 18th, 2017. 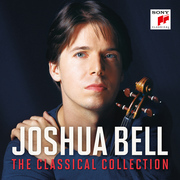 Displaying the unique breadth, versatility and breathtaking virtuosity, beguiling sensitivity and sheer tonal beauty that has made Bell an icon for audiences of all ages and musical tastes throughout the world, this new collection showcases Joshua Bell in cornerstones of the violin concerto repertoire, chamber music and concert pieces. Violinist Joshua Bell is one of the most acclaimed classical musicians of today - renowned for his expressive, elegant, intelligent playing and his deep commitment to bringing the classical tradition to wider audiences. Over the past three decades he has recorded more than 40 albums including most of the great violin repertoire. 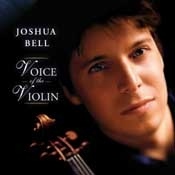 Now, Sony Classical is excited to announce that Bell has for the first time recorded the masterpieces of J.S. Bachwith the Academy of St Martin in the Fields. In his third season now as their music director, Bell performs Bach's sublime Violin Concertos No. 1 and No. 2, along with a never-done-before 'violin and orchestra' arrangement of the famous Chaconne from the Partita No. 2 (adapted from Mendelssohn's piano accompaniment), the Gavotte en Rondeau from Partita No. 3 for solo violin (using Schumann's accompaniment), and the universally beloved 'Air on the G string'. With Musical Gifts from Joshua Bell and Friends, world-renowned violinist Joshua Bell recreates his family's tradition of having friends come to his home during the holidays and joining in on songs that celebrate the warmth, beauty and magic of the season. Following the concept of his critically acclaimed album, At Home with Friends, Bell collaborates with a variety of special guests including Gloria Estefan, Alison Krauss, Kristin Chenoweth, trumpeter Chris Botti, jazz greats Chick Corea and Branford Marsalis, opera stars Plácido Domingo and Renée Fleming, Michael Feinstein, Frankie Moreno, a cappella group Straight No Chaser, and classical artists Steven Isserlis and acclaimed classical comedy duo Igudesman-Joo. Co-produced by Steven Epstein and David Lai, Musical Gifts is available from Sony Masterworks. 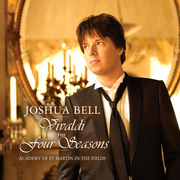 Grammy Award-winning violinist Joshua Bell, who has enchanted audiences for two decades with his breathtaking playing and tone of rare opulence, has recorded Antonio Vivaldi's concertos The Four Seasons. 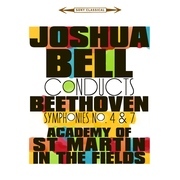 Widely considered as one of the premier violinist of his generation, Bell is joined on this studio release by the celebrated musicians of the Academy of St.Martin in the Fields, who toured the work with him prior to the recording sessions. 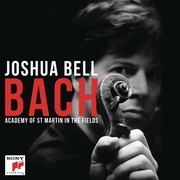 Few new recordings of such canonical works as Beethoven symphonies can claim status as true events these days, but Joshua Bell's first recording as Music Director of the Academy of St Martin in the Fields is just that. Bell leads the London orchestra in Beethoven's Symphonies No. 4 and No. 7 – from the violin. He bothconducts and plays from the concertmaster chair, sometimes contributing to the fabric of sound with his instrument; other times lifting his bow to exhort and emphasize. On February 12 2013, Sony Classical releases the Beethoven recording, which follows Bell and the Academy's lauded version of Vivaldi's Four Seasons from 2008. Classics Today gave that album high praise, pointing how it "scorches and sizzles. . . Bell and his first-rate partners make beautiful music out of Vivaldi's conceptions." Grammy winning violinist Joshua Bell has chosen enduring melodies from the world of opera and song, on his latest Sony Classical recording: Voice of the Violin. Following up on his Chart topping Romance of the Violin, here, accompanied by the Orchestra of St. Luke's, "Voice of the Violin" features Opera's hottest new star, soprano Anna Netrebko. 2 New "ON" this week: 83 Total "Stations/Shows"